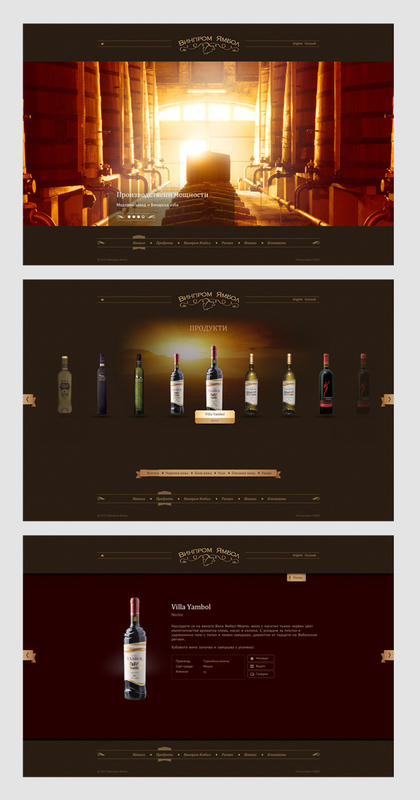 Rizn blog » Web design for the oldest wine cellar in South Bulgaria! A few months ago we decided to take part in a design and website development contest for Vinprom Yambol. The competition was great, we had very little time to figure out the overall concept and presentation, we wondered if our direction was the right one, but in the end we won the honored first place. We paid special attention to all lines and definite requirements which our clients had in mind so that the web site is an inseparable part of Vinprom Yambol’s communication strategy. We will be glad if you like the result. You can see the project on Website development for Vinprom Yambol.